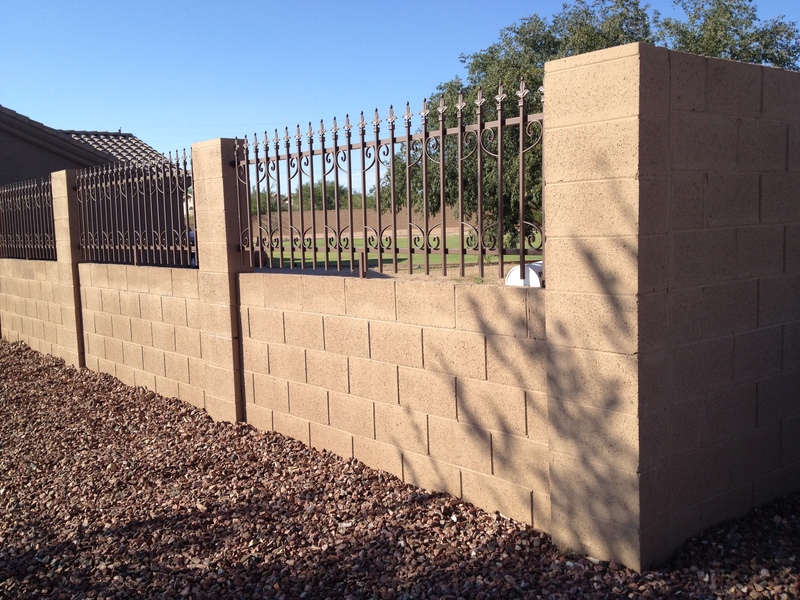 Block Fences | Darrin Gray Corp.
Darrin Gray Corporation can build your fence! A block fence can really dress up your property! 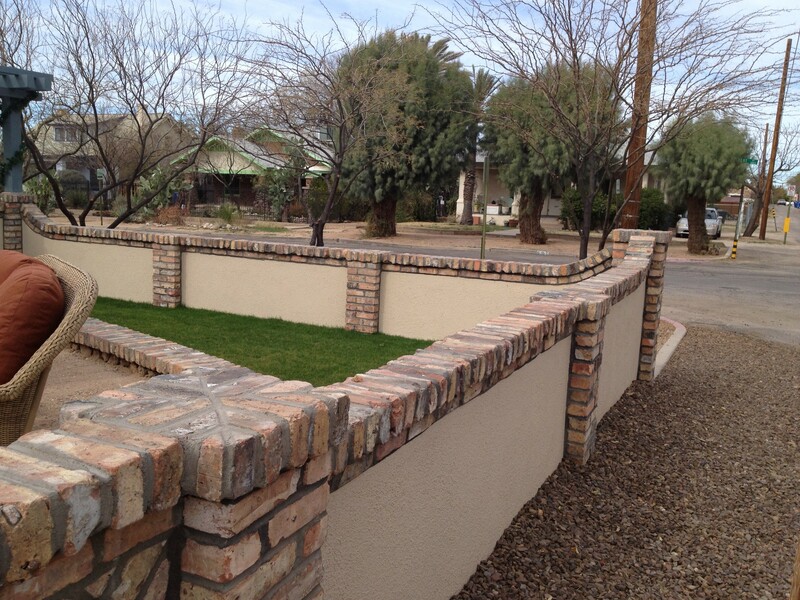 Adding Brick to your fence will help it stand out! 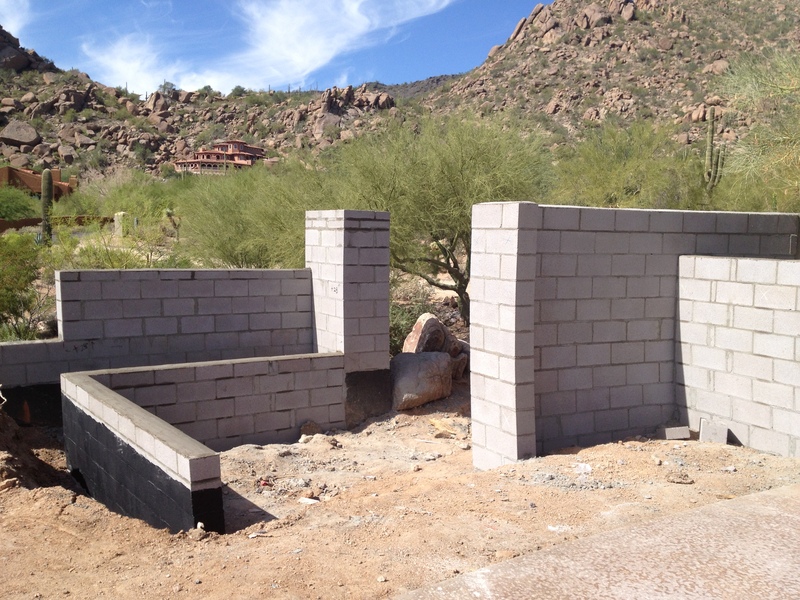 This is a series of Retaining walls, site walls, and columns that we built for one of our customers in Cave Creek, Arizona The walls are now ready to have stucco applied. 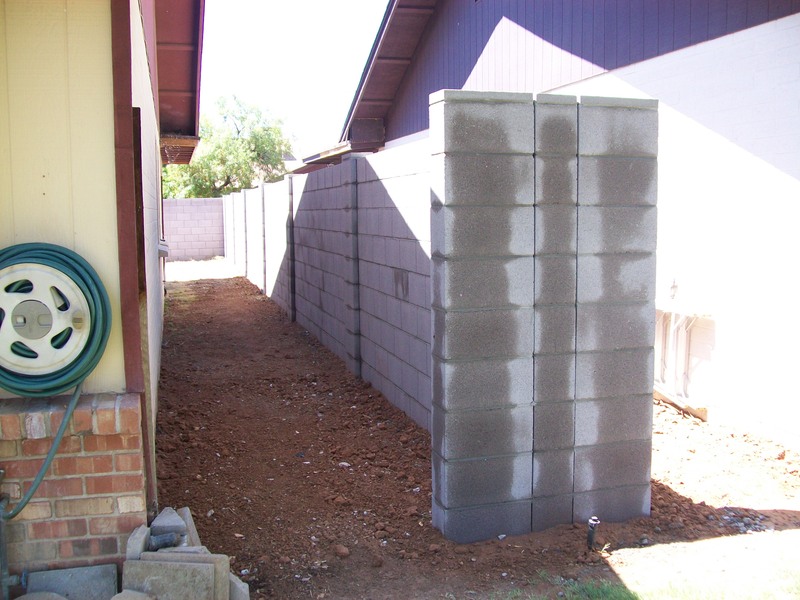 Darrin started learning how to install block fence and footings in 1989. Many miles of fence later, we can offer you a quality fence at a reasonable price. There are a lot of companies out there that cut corners on fences. They will use shallow footings, ungrouted columns, etc. to cut their costs. Trust Darrin Gray Corp. to build it right and build it to last. 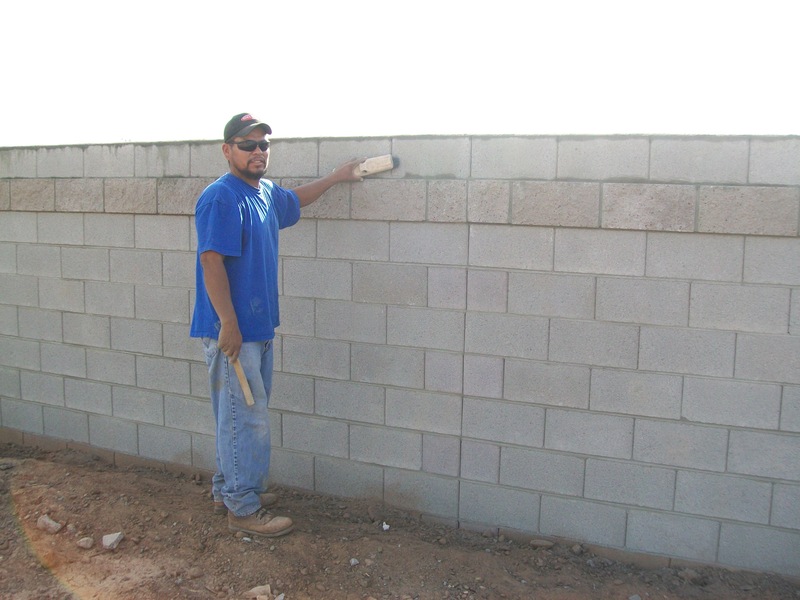 This is a 6″ wide gray interlock block wall with a splitface accent course to add some contrast.